There’s no denying the value of email in today’s business landscape. 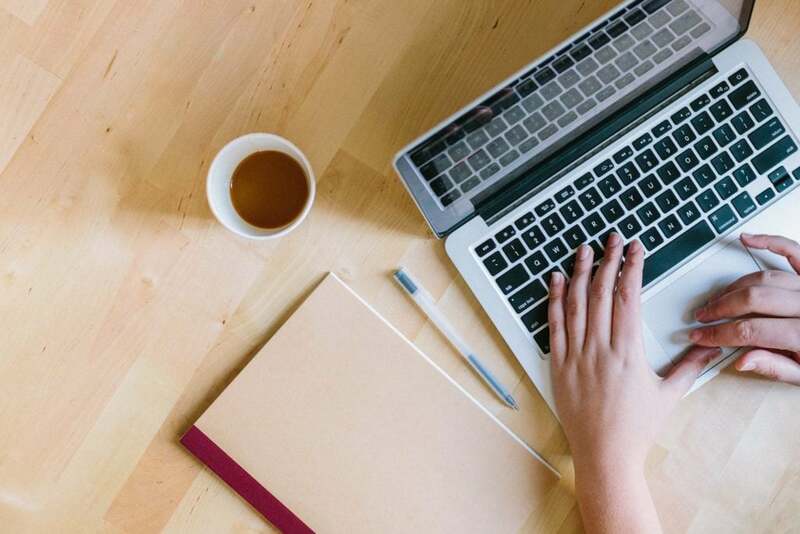 Chances are, you use it in every aspect of running your business: marketing to leads, following up with customers, tracking shipments from vendors, and so on. With so many messages passing through your Outlook inbox each day, it can be hard to stay organized. That’s why the Method:CRM Outlook Email Gadget is a game-changer. The Email Gadget is an Outlook add-in that brings your CRM data right into your inbox. This means you can open an email and see your whole relationship with the sender at a glance. Not sure what this means for your business? Here are four awesome benefits of using a CRM Outlook add-in. You love Outlook and you love Method:CRM, but flipping back and forth between programs is a pain. The Outlook Email Gadget streamlines your workflow by letting you enter and view CRM data directly from Outlook. Create a new lead, schedule an appointment, or check a customer’s balance in the Gadget— no need to open a new tab or copy and paste information. The minutes saved each day will add up significantly in the long run. When you open a message in Outlook, the Email Gadget automatically detects whether the sender exists in your Method account. If so, the Gadget displays a snapshot of their recent activity with your business, including interactions, sales opportunities, and transactions. With this valuable information at your fingertips, you’ll have greater context to address customer queries or issues. People are creatures of habit, so it can be difficult to get your team on board with adopting new software. Luckily, using an Outlook add-in can ease the transition. 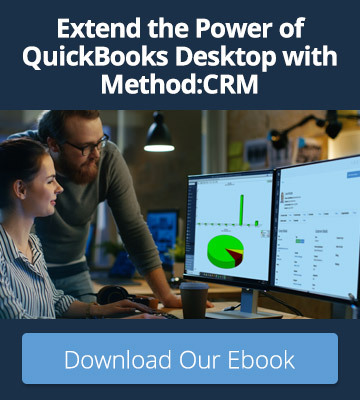 Method’s Email Gadget allows employees to continue working in Outlook while familiarizing them with the Method:CRM interface. As they learn the value of CRM features like activities and opportunities, they’ll be more enthusiastic to use the full Method platform. If you’re already using Outlook Customer Manager to track customer relationships, you may assume you don’t need the Email Gadget. But keep in mind that the Customer Manager was designed to work for all kinds of businesses that use Outlook. As a result, it may not be the best fit for your needs and workflows. 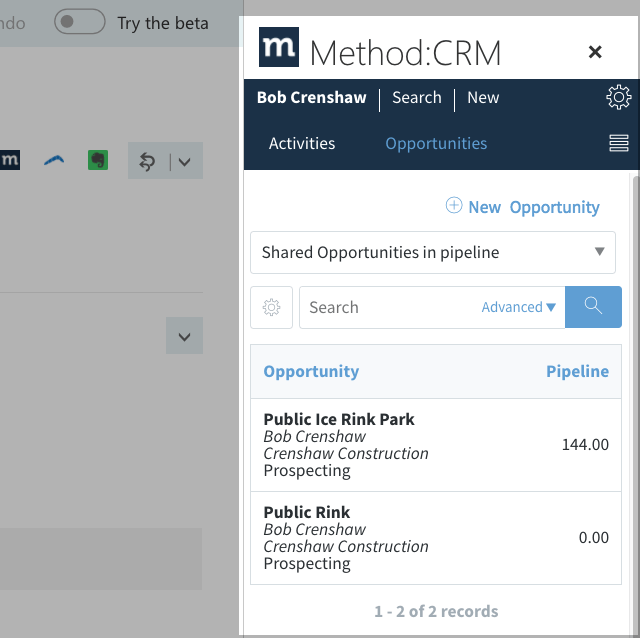 In contrast, Method:CRM is fully customizable — and so is the Outlook Email Gadget. 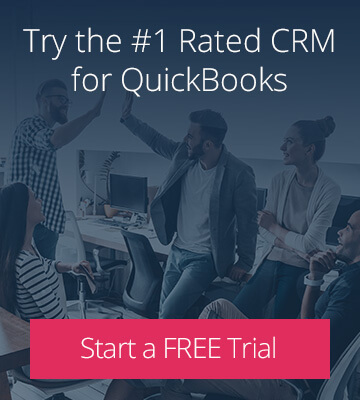 If you’re tracking unique data in your CRM, like birthdays or dietary restrictions, customizing the Gadget allows you to view this data in Outlook. 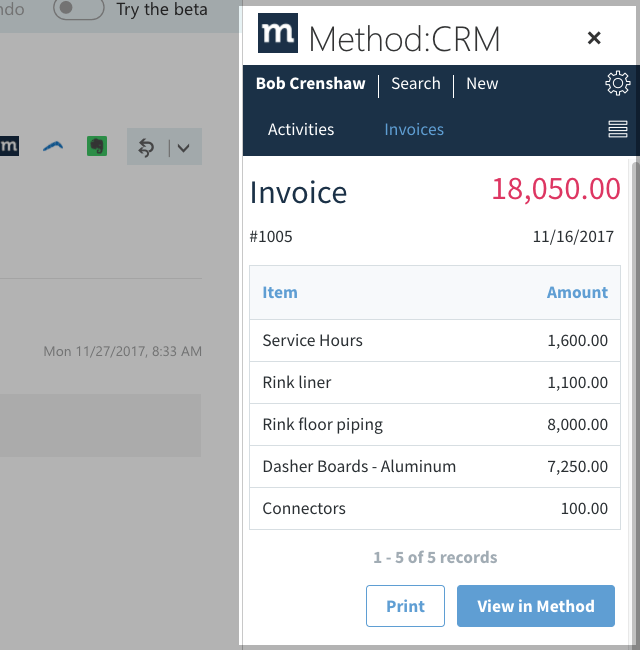 You can even create personalized workflows, like clicking a button in the Gadget to send reminders about outstanding invoices. We know Outlook is a huge part of running your business, so why not get more out of it? Method:CRM’s Outlook Email Gadget streamlines how you work by giving you a 360° view of every contact in your inbox. Plus, the Email Gadget is free with a Method subscription. If you’re not yet a Method subscriber, start your free 30-day trial, then follow these steps to get the Gadget!